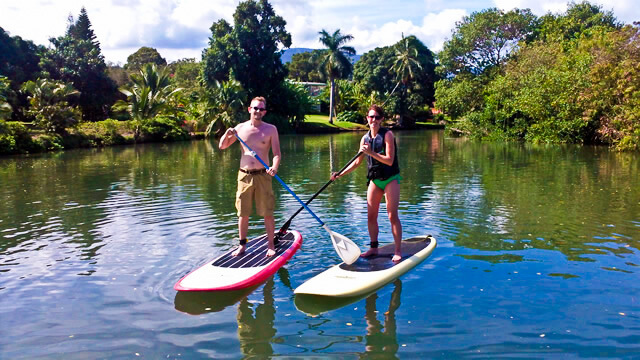 Sea turtles, tropical fish and a lush tropical landscape set the stage for your stand up paddle lesson. 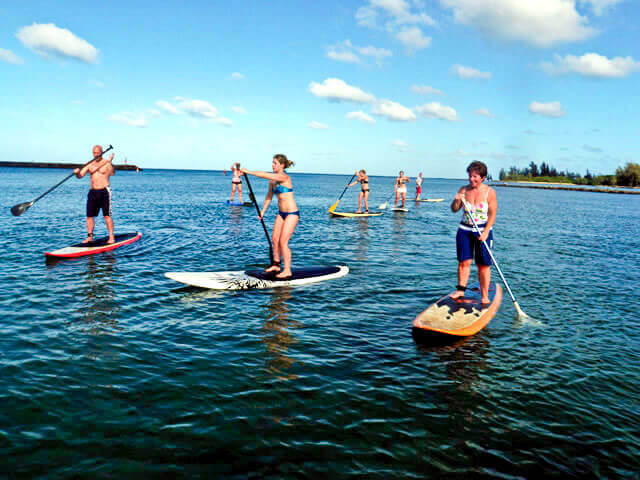 Our experienced staff will introduce you to the sport of stand up paddling. 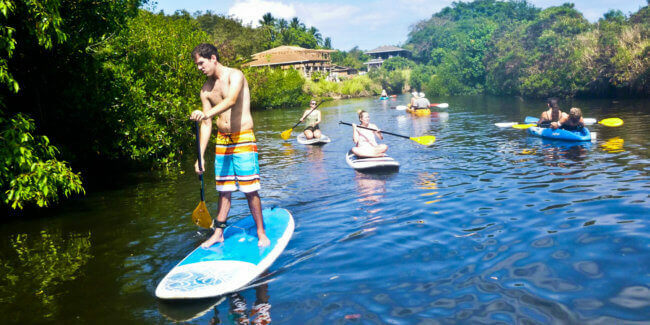 First, you’ll learn about the proper use and care of the equipment along with correct paddling and turning techniques. Then, we’re off on the water. 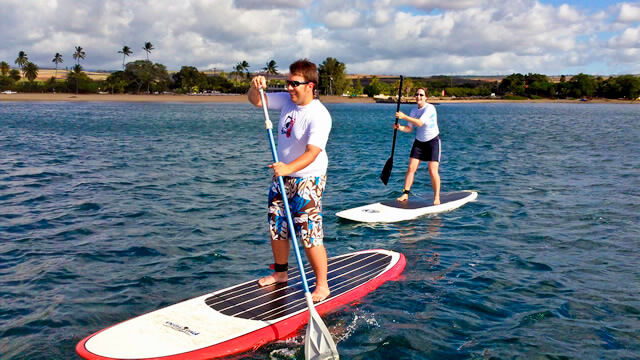 With our instruction, you’ll be up, paddling and totally stoked on your very first lesson! 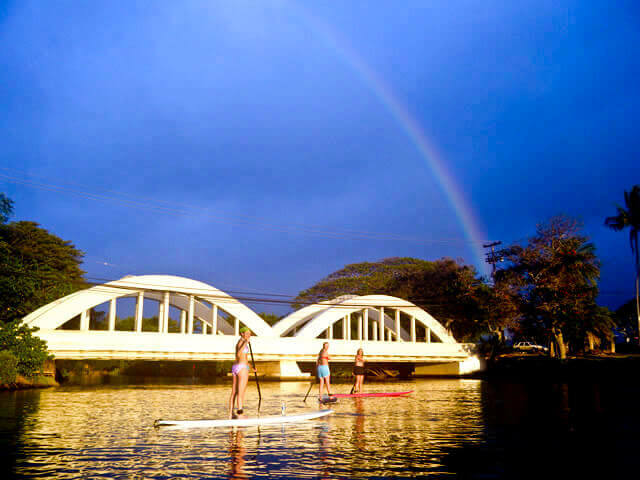 For our Haleiwa location, you have 2 main options: Private Lesson or Shared Group Lesson. 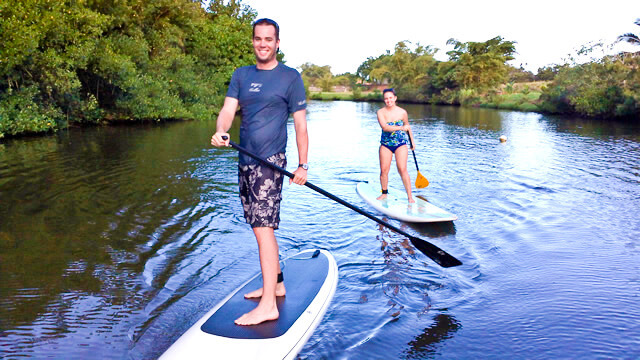 Join a private stand-up paddleboarding lesson with us to get a SUP lesson tailored just for you. Accelerate your learning curve and have a great time with your friends and family and your own private instructor. 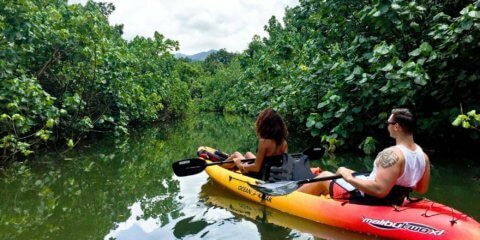 Be on the lookout for sea turtles and tropical fish while cruising through the Ocean and waterways of North Shore Oahu. Flexible lesson times available from 8 am to Sunset. Let us know what works best for you! Reservations are required. Or, If you are looking to join a different group of paddlers, sign up for an open group lesson. 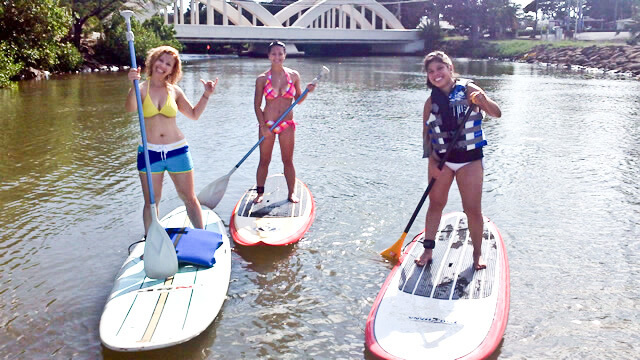 With an open group lesson you’ll make friends with other new paddlers and have a blast learning how to SUP. Open group lessons have up to 10 paddlers and are open for anyone to join.